Save Additional $269.70 When Paying With Bank Wire. You pay $8,720.30. Officially certified chronometer self-winding movement with quickset date. White dial with original Rolex factory diamond hour markers. Date window at 3 o'clock aperture. Stainless steel and 18k yellow gold jubilee bracelet. Fits 7.5" wrist. 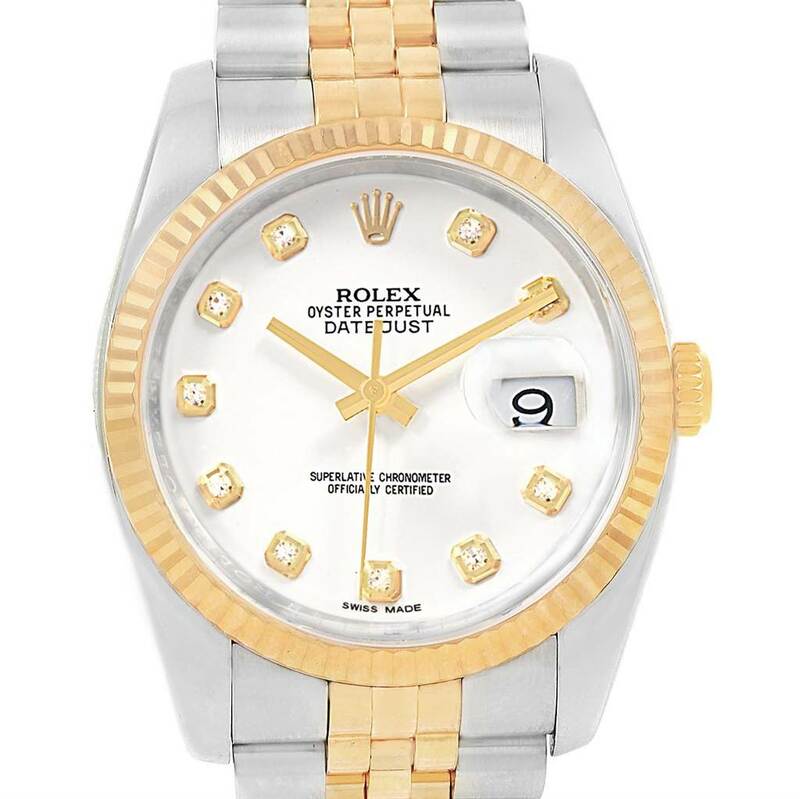 Rolex Datejust Steel Yellow Gold White Diamond Dial Mens Watch 116233. Officially certified chronometer self-winding movement with quickset date. Stainless steel case 36 mm in diameter. Rolex logo on a crown. 18k yellow gold fluted bezel. Scratch resistant sapphire crystal with cyclops magnifier. White dial with original Rolex factory diamond hour markers. Date window at 3 o'clock aperture. Stainless steel and 18k yellow gold jubilee bracelet. Fits 7.5" wrist.